Unisol is on the Italian model of large cooperative leagues associated with political parties. LEGA co-op was affiliated with the Italian Communist Party. These are wholly different systems/models than American populist co-ops that form individually through local organizing efforts. The Brazilian and Italian cooperative model/system is much more political, class-based, and class-oriented than the American system/model. The PT and the metal workers’ union opposed the national dictatorship in the 1980s. The Metal Workers’ Union and PT studied liberation theology as well as psychology of liberation. Today, this union (which I visited) has political education for workers. An exposition of posters about the dictatorship adorns the entrance lobby. The politics of the PT is an important influence on the cooperative politics of Unisol, and it may have both positive and negative aspects. Tying all of this together is the figure of Lula, the recent President of Brazil from 2003-2011. Lula was the president of the metal workers’ union that formed Unisol. He was also the leader of the PT. And he helped found the national workers’ union, CUT. In 1996 he visited Italy to study co-ops. He introduced the Italian labor constitution to the Metal Workers’ Union which subsequently visited Emilia Romagna region of Italian co-ops. Lula also introduced the Italian labor constitution into Brazilian national legislation. The 1999 economic crisis led to recovering bankrupt companies. This was abetted by the Brazilian government that has an agency for the solidarity economy. (The government’s relation to this economy is contradictory, for it is also beholden to corporate interests that undermine cooperatives. One example of this is the fact that the government has privatized many government jobs, replacing them with contracted employees of private employment agencies.) This agency was abetted by the labor party (PT) and the Central Union of Workers. All three institutions encouraged employees of bankrupt companies to turn them into cooperatives. This is the political, class basis and orientation of Brazilian cooperatives. There are numerous co-ops that were not developed through conversion. Chronologically, in the year 2000, Unisol organized from these recovered enterprises. Organizers studied Mondragon and Italian co-ops. In 2002, Unisol Sao Paulo formed, and in 2004 it expanded nationwide as Unisol Brazil. Currently, Unisol includes 25 recovered factories, in addition to 800 formalized co-ops in total, 7 million members, and 70,000 employees. Unisol includes consumer co-ops which joined after Unisol began from workers of bankrupt companies. Interestingly, worker co-ops comprise the bulk of Unisol co-ops, with consumer co-ops comprising a minority. The reverse is the case in the United States where worker co-ops comprise only 10% of all co-ops. Unisol is not the only co-op association in Brazil. Many co-ops are outside Unisol. More co-ops are not in Unisol than inside. Brazil has many capitalist-style producer co-ops. These include agribusiness co-ops. They operate like their counterparts in the U.S. (Ratner, 2015, chap. 1). Member co-ops elect a general council that elects 13 executive directors. Unisol covers diverse sectors: farming, restaurants, bakeries, bees, agriculture, handicraft, social, construction, orchards, metallurgy, recycling, tourism. Unisol is a member of the International Cooperative Alliance. The President of Unisol is on ICA. Given its political, working class origins, Unisol opposes political neutrality of the International Cooperative Alliance. It is also critical of ICA’s association with capitalist institutions -- that parallels the National Cooperative Business Association’s close association with capitalist co-ops, corporations, and government agencies (Ratner, 2015, chap. 1). Unisol has an educational relationship with Mondragon in which they share educational materials. Most Unisol-associated co-op employees are members of the Central Workers’ Union (CUT). This is the same Union that represents industrial workers in corporations. Membership was formerly required; now it is voluntary. This was a touching example of the value of cooperatives. The member-owners were former individual garbage pickers combing vast garbage piles for recyclable and saleable items that they sold in a hand-to-mouth existence. The local government in a suburb of Sao Paulo allocated funds to establish a recycling co-op composed of these poor garbage pickers. The government provided a building and equipment. It provided government personnel to supervise the co-op. The city government made an agreement with this co-op. The city sends its city trash to the co-op, and the co-op processes it, sorts it and sells to industries. The co-op uses the income to pay wages and pension benefits to a fund that the city administers. Retirees will collect pensions from the city, not the co-op. It was moving to see these former garbage-scroungers working collectively in decent conditions and earning a decent wage. They all attend monthly general meetings to discuss issues related to the enterprise. This includes personnel issues. The member-owners are obviously much better off than they were as independent, individual scroungers. Working conditions are quite rudimentary. About 30 members stand on an assembly line as trash is brought down it, and they manually sort the trash into plastics, metal, paper, etc. for recycling. Recently, the market price for these recycled items has dropped, and a number of members quit the co-op to look for higher paid work elsewhere. It is important to emphasize that this co-op was initiated by the city government. The mayor had been the President of the national labor union (CUT), and he used his working class orientation to work with Unisol to form this recycling co-op. The garbage pickers did not form this co-op. The government provides the equipment, the plant, and the trash for the co-op members to use. The government also handles the pensions for the members. Uniforja is the largest co-op in Unisol. It was recovered from family owners who went bankrupt. Metal workers union – under the leadership of Lula – encouraged the workers to buy it. Lula came to the factory to mediate between workers and family. The family hadn’t paid wages for two years. They finally agreed to give workers some machinery to replace the lost wages. Workers borrowed the balance of the sale price from the bank. They paid the family the agreed upon price. The workers converted it to a co-op. Uniforja is a small industrial co-op consisting of 300 member-owners. It has a large foundry that heats and shapes metal parts. Workers work in assembly line-style where the molten steel is moved from one person to another, using hand tongs to move and process the metal on the assembly line. They are currently making the metal for windmills that are used to generate electricity. They get contracts to produce different metal products for diverse buyers. Uniforja has a typical co-op structure. The members compose a general assembly that elects a board of directors. To protect themselves against the vicissitudes of a contracting economy, the 300 worker-owner-members employ 150 contract workers. When demand for metal products drops, these employees are summarily fired. They have no rights or benefits, they do not elect their managers, they do not participate in decision-making councils, and they are paid market wages which are one-half of the wages that the member-workers pay themselves. The cooperative spirit that cooperators tout does not extend to these contract workers in the co-op. It is disingenuous to claim that co-ops do not fire their employees during economic recessions when they fire contract workers who work alongside them. This two-tiered system of workers is employed by Mondragon and numerous other cooperatives throughout the world (e.g., in China’s village co-ops). Two-thirds of Mondragon’s 83,000 employees are non-members, and one half of its 256 companies are not cooperatives. A third contradiction that plagues Unisol co-ops is the depoliticizing of work that is political. Especially younger co-op members have little interest in the political foundation of Unisol cooperatives and the political nature of work. They are not involved in Liberation Theology or Liberation Psychology, labor history, or political struggle for co-op-friendly and labor-friendly government that were so important for founding Unisol and the recovered (expropriated) enterprises. Current co-op members are more narrowly focused on technical, organizational issues of the workplace – scheduling work, remuneration, assemblies, discipline problems. They are not concerned with broader labor issues and political issues of political parties. Yet these directly impact the quality of work, the standard of living, and the economic rights of co-op member-owner-workers. Co-op members feel the impact of these central issues – neoliberalism -- however, they do not understand or exercise control over them. These contradictions in co-ops reflect the profound corruption by capitalism of alternative social movements. I argue that this contradiction can only be solved through developing a socialist politics of cooperation (The website of the national forum FBES hosts an excellent dissertation that helps understand how SENAES, and FBES, in addition to Unisol, operate) These contradictions in co-ops reflect the profound corruption by capitalism of alternative social movements. I argue (2015) that this contradiction can only be solved through developing a socialist politics of cooperation. This would consist of thoroughly analyzing capitalism to understand its myriad, variegated, disguised forms that alienate people surreptitiously. This thorough, ongoing critique would be reflexively applied to the behavior of cooperators in order to identify and counteract the kind of contradictions that appear in the Uniforia cooperataors. Socialist politics of cooperation would also identify shortcomings of ICA’s seven cooperative principles that enable Uniforja’s contradictions to qualify as cooperative. For example, Principle #3 states: “Members allocate surpluses for any or all of the following purposes: developing their co-operative, possibly by setting up reserves, part of which at least would be indivisible; benefiting members in proportion to their transactions with the co-operative; and supporting other activities approved by the membership.” This is extremely ambiguous, as the undnerlined words indicate. Reserves are only a possible action, not necessary. Moreover, an undefined part of possible reserves could be indivisible. 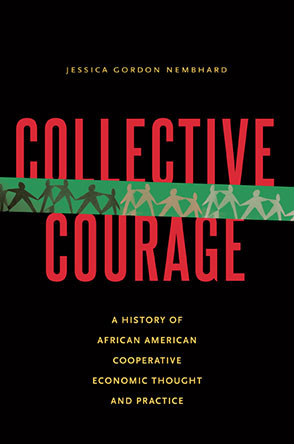 This allows for a miniscule collective reserve to qualify as cooperative. And, if members so choose, they can use reserves not for common benefits but to benefit members individually according to their participation. And, members can decide any other way of disposing of surpluses. These ambiguities, plus allowances for individualistic distribution of surpluses, provide no guidance for genuine cooperation. They enable cooperators to enact all of the contradictions that appear in Uniforja, and still qualify as cooperators. It is difficult for cooperators to avoid these contradictions if they are enabled, or allowed, by the very principles that define cooperation. There is nothing in cooperative principles that excludes hiring contract workers and treating them as such. There is no provision that participants in co-ops must be co-op members. Socialist politics of cooperation would reveal these shortcomings in cooperative principles and stipulate more specific and thorough-going collectivization (see Ratner, 2015). For instance, socialist politics of cooperation would advocate moving away from wage labor that is alienating. This would mitigate against hiring contract workers and disposing of them. Another cause of contradictions in Uniforjia may be the compromising politics of the Workers’ Party. These politics may have influenced the cooperative politics of Unisol cooperatives, which culminates in some of the neoliberal, individualistic actions by cooperators. This is an important topic to research. It would be inspired by a socialist politics that critiques neoliberal practices within social organizations. Ratner, C. (2015). The Politics of Cooperation and Co-ops: Forms of Cooperation and Co-ops, and The Politics That Shape Them. N.Y.: Nova Publishers.